The V-LAP is a miniature, wireless, and battery-free microcomputer that rests directly on the heart’s interatrial septum. V-LAP’s patented sensory implant provides unprecedented, precise pressure readings by utilizing our proprietary ASIC Chip and MEMS. 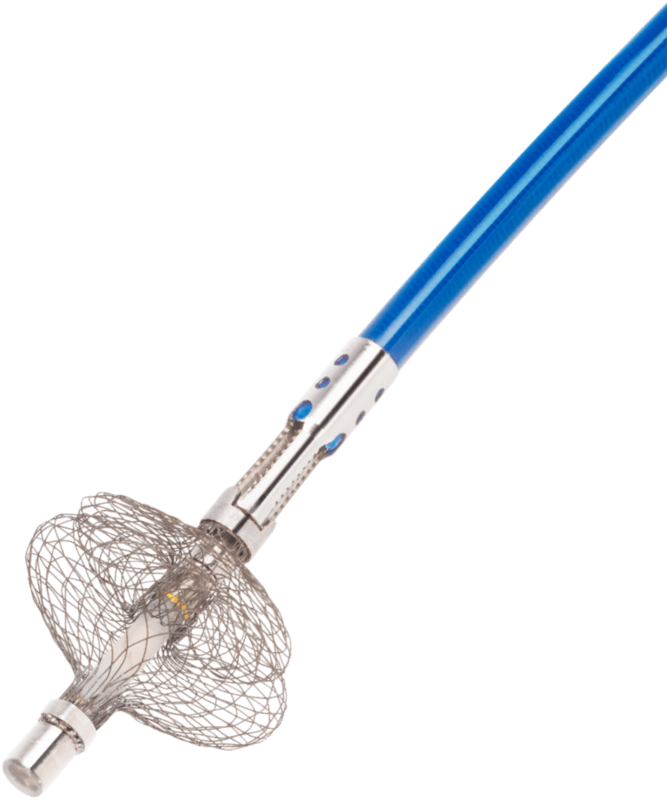 The implant is delivered in a standard, minimally-invasive catheterization procedure. Patients can monitor their in-heart data at the press of a button. Digital high-resolution data from the heart is sent securely to the cloud. 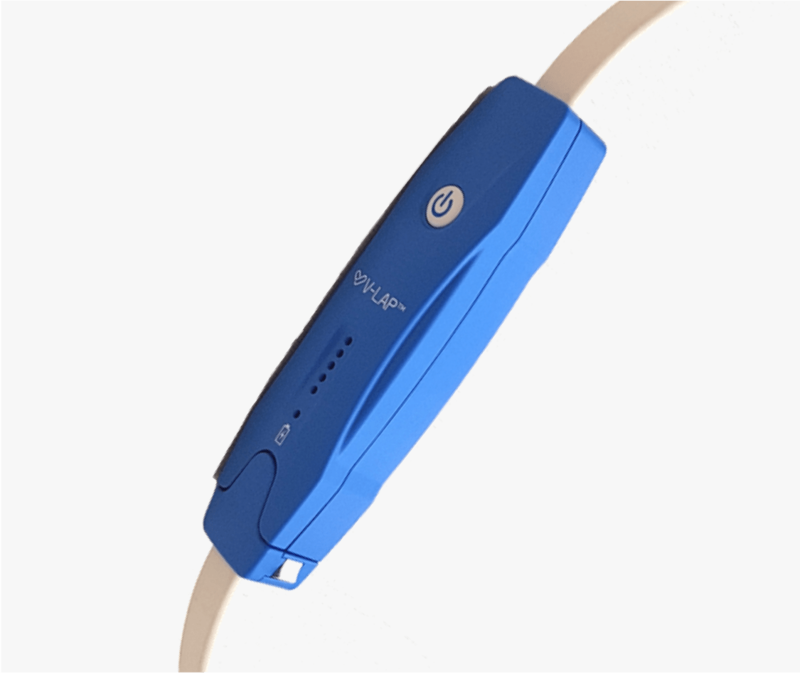 The V-LAP solution includes a personal, home-based processing and communication system that allows heart failure patients to independently monitor their own disease. To operate the system, patients put on a light belt that induces power to the implant, wirelessly syncs with it and transmits its monitored data automatically to a cloud-based system. The medical team is then able to access the data, analyze the readings and use the information as the basis for optimal personalized treatment. Measurements take just a minute and can be carried out anytime, anywhere. 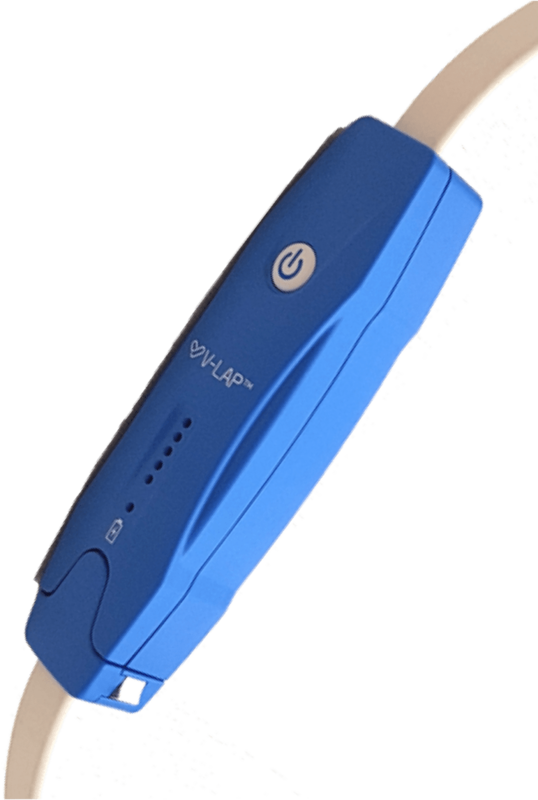 V-LAP’s core wireless technology communicates up to 30cm inside the body. The belt induces power to the battery-free sensory implant via induction technology. Vectorious provides a decision support system that the medical team can use to help them stabilize heart failure patients based on ongoing monitoring of the patient’s heart condition. 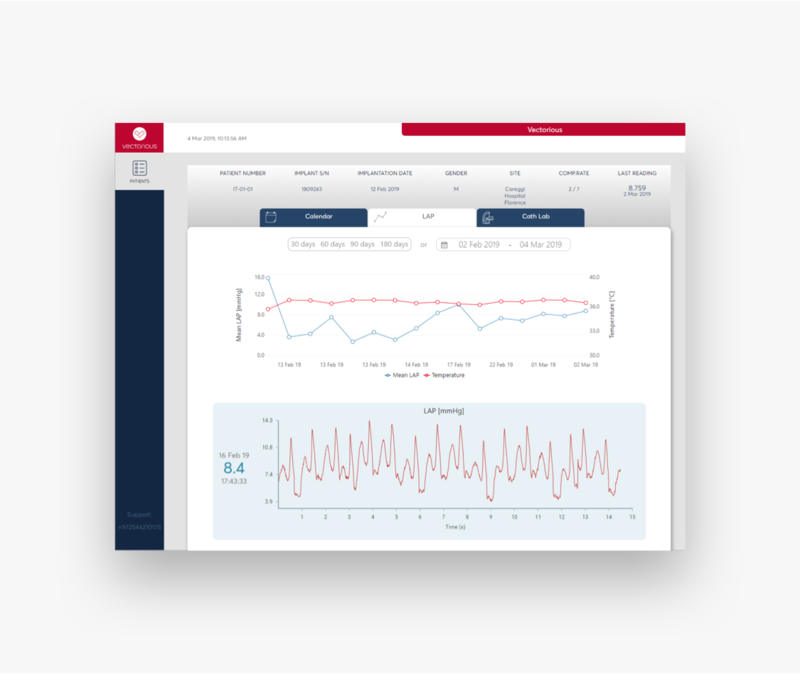 The system provides preventative analysis of heart anomalies using proprietary algorithms and generates actionable recommendations to both the patient and the healthcare provider. All data is captured and stored, allowing physicians to review patient reports. Using a wealth of analysis, Vectorious detects and learns from real-life events. By measuring left atrial pressure waves, physicians are able to detect potential risks before they occur. 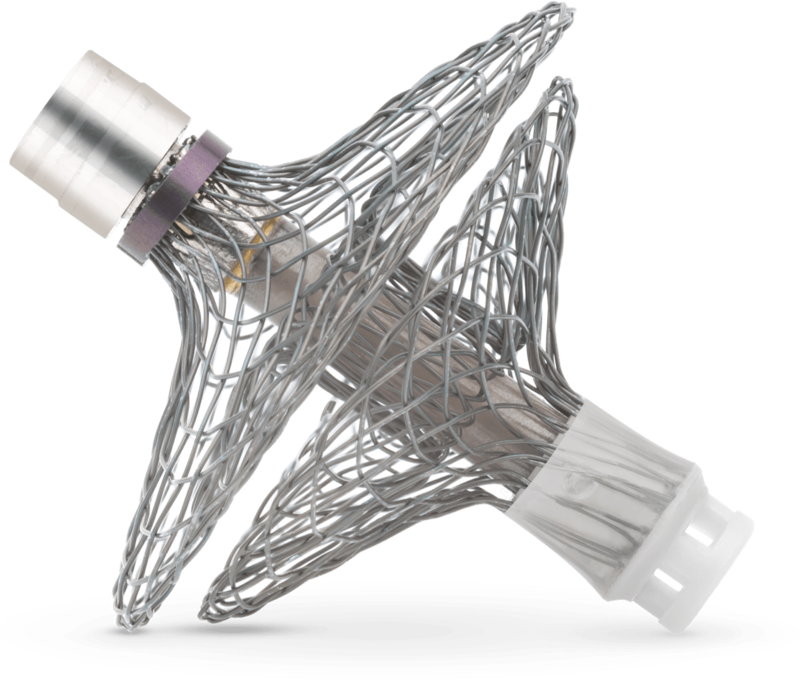 Fully scalable, the V-LAP system offers additional medical technology enhancing capabilities with the most minimal efforts. 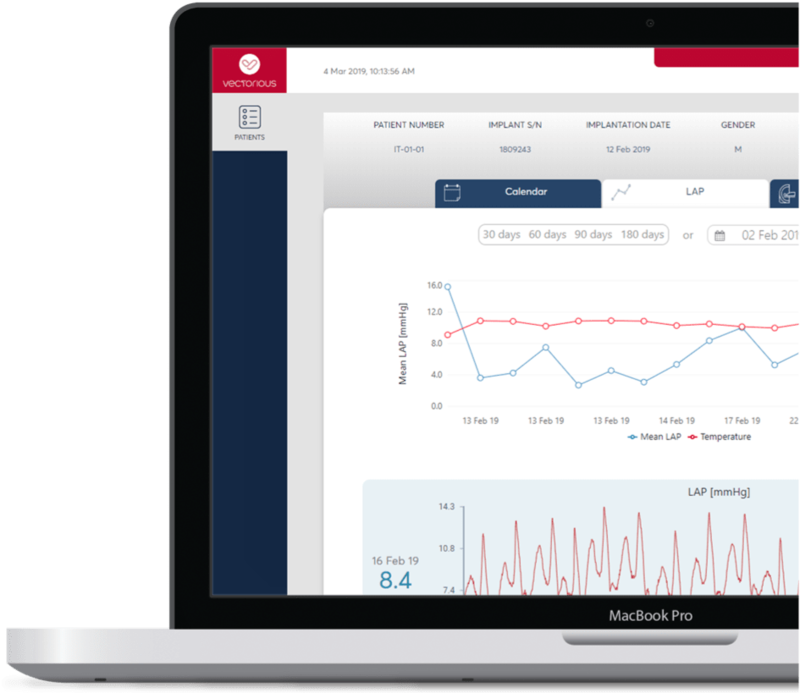 By virtue of being in the patient’s heart – literally – Vectorious can monitor and detect other pathologies, such as MR and atrial fibrillation. This technology is also being applied to other MedTech areas in an effort to provide key enhancements to other smart digital therapeutic devices in the future.